If you are traveling with your friend/mate, our twin room is best for the two of you. 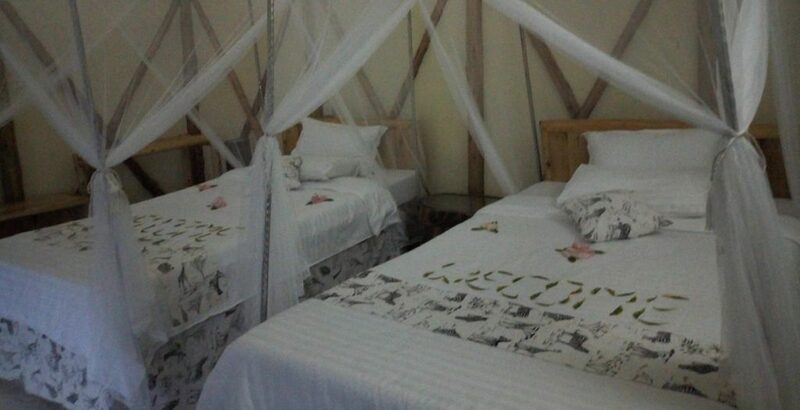 The room has two medium sized beds which guarantee comfortable and sweet sleep. Also, Our twin rooms are self contained, have a sitting area and private balcony with spectacular views of Lake Bunyonyi and the neighboring communities. In room services such as wakeup calls are provided on the orders of the client.